The major sinks of anthropogenic CO2 are the oceans and terrestrial biosphere, which absorbed half the 6.3 ± 0.4 petagrams of carbon per year (PgC y-1) emitted by fossil-fuel burning in the 1990s (Prentice et al. 2001). Because of the enormous size of these sinks, it is important to understand not only their mean size, but also their variations. Interan-nual variability appears to be significant for both the ocean and terrestrial sinks, though different methods currently yield conflicting results. In addition, global climate change resulting from emissions of CO2 can induce changes in the sizes of the ocean and terrestrial sinks. Those changes may have already begun, as evidenced by ocean temperature increases (Levitus et al. 2000), and changes in ocean carbon uptake (Prentice et al. 2001). Based on deep oceanic chlorofluorocarbon (CFC) and radiocarbon (814C) measurements, Broecker et al. (1999) suggest that ocean circulation may have changed in the past century, and time-series measurements of atmospheric and oceanic CO2 concentrations point to changes already taking place in the ocean's buffering chemistry (Sarmiento et al. 1995). This chapter focuses on anthropogenic changes to the ocean carbon cycle, while Le Quéré and Metzl (Chapter 12) discuss natural processes regulating ocean CO2 uptake, and Foley and Ramankutty (Chapter 14) treat the terrestrial carbon cycle. We begin with the current understanding of uptake variability, then explore the effects of climate change on the rates of CO2 uptake, including long-term changes in uptake due to changing ocean chemistry. We also consider the potential effects of large-scale changes in ocean circulation, such as a collapse of the thermohaline circulation in the North Atlantic Ocean. We end with a discussion of future research needs. Note: The measure of variability is peak-to-peak amplitude (PgC y-1), and not standard deviation, which is sometimes used. aAnnual average as reported in Le Quere (2000). bFor equatorial Pacific Ocean (10°N-10°S and 170°W-96°W) only. cExtrapolated from two sites near Bermuda to the entire North Atlantic Ocean; mean uptake of the North Atlantic is 0.7 ± 0.1 PgC y-1. els or from ocean observations report globally averaged interannual variability of up to ±0.5 PgC y-1. Studies that calculate ocean uptake from atmospheric observations, however, show significantly higher interannual variability, on the order of ±1 PgC y-1 or larger. This latter level of variability corresponds to ±50 percent or more of the long-term mean uptake of CO2 (~2 PgC y-1). While our understanding of the mechanisms responsible for interannual variability in CO2 uptake is incomplete, Le Quere and Metzl (Chapter 12, this volume) summarize what is known. Figure I3.I. Accumulation of CO2 in the atmosphere (light gray) and fossil-fuel emissions (dark gray). Uptake by ocean and terrestrial sinks is indicated by the difference in areas. El Niño years are indicated by vertical arrows. Note the large interannual variability in atmospheric accumulation, and hence in the total terrestrial plus ocean uptake (from Sarmiento and Gruber 2002). Some studies that compare ocean- and atmosphere-based variability estimates find agreement among methods for some ocean regions. Bousquet et al. (2000) inverted atmospheric CO2 data to obtain temporally and regionally resolved oceanic and terrestrial fluxes. In the equatorial region (20°S-20°N) and the Southern Ocean (50°S-90°S), where fluxes were relatively large, the inversion results agreed favorably with results of the ocean model of Le Quere et al. (2000), as well as with ocean observations (Wong et al. 1993; Feely et al. 1997, 1999; Bousquet et al. 2000) (Figure 13.2). Outside these two regions, however, the inversion obtained much larger variability (±0.4 Pg C y-1) than the missed. Figure 13.2. Anomalous sea-air fluxes of CO2 in the equatorial Pacific (20°S-20°N) from the inversion study of Bousquet et al. (2000) (solid line; gray band indicates range of values obtained from sensitivity study), model results of Le Quéré et al. (2000) (dashed line), and oceanic observations from Wong et al. (1993), Feely et al. (1997, 1999), and Bousquet et al. (2000) (squares; vertical bars indicate uncertainties). Thick arrows indicate strong El Niño events characterized by minima in the Southern Oscillation index; thin arrows indicate weak El Niño conditions. Reprinted (abstracted/excerpted) with permission from Bousquet et al. (2000). ©2000 AASS. ocean-based studies (±0.1 Pg C y-1). For the global scale, Le Quéré et al. (2003) report significant interannual differences in global fluxes among inversion (Bousquet et al. 2000), ocean model (Le Quéré et al. 2000), and atmospheric synthesis (Francey et al. 2001; Keeling et al. 2001; Langenfelds et al. 2002) results (Heimann et al., Chapter 8, this volume, Colorplate 7, left center panel). Shortcomings of the atmospheric inversion technique, such as an inability to cleanly separate ocean and terrestrial signals, may contribute to the large ocean variability such studies report. Also problematic is the exclusion of highly productive continental margins due to limited model resolution. These regions may be highly variable (Bousquet et al. 2000) and contribute large fluxes (Tsunogai et al. 1999). Strong restoring to cli-matological observations in semidiagnostic ocean biogeochemistry models (Le Quéré et al. 2000, 2002) may also dampen interannual variability in carbon uptake. ±0.1 PgC y-1), a similar ratio to that from global inversion models. While extrapolation from one site to the entire ocean basin may be optimistic, the result highlights the need for model improvements to simulate the full range of observed conditions that affect CO2 uptake. Along similar lines, Bates (2002) estimated the influence on CO2 uptake of tropical and extra-tropical storms. In these storms, which mainly occur in regions of large air-sea CO2 disequilibrium, strong winds increase air-sea gas exchange. Bates (2002) obtained total interannual variability of ±0.9 PgC y-1, and claimed that current ocean-based studies neglect storm effects. This study used the cubic gas exchange relationship of Wanninkhof and McGillis (1999), however, which produced significantly higher uptake than the more established quadratic relationship (Wan-ninkhof 1992). Further work is needed to firmly establish the significance of tropical and extra-tropical storms in CO2 uptake variability. Effects of future climate change on variability are not well characterized. There is some evidence that El Niño may be increasing and will continue to do so as climate changes (Trenberth and Hoar 1996; Timmermann et al. 1999). Moreover, the mean climate may shift toward an El Niño-like state, punctuated by strong La Niña episodes with stronger interannual variability in equatorial sea surface temperatures (SSTs) (Timmermann et al. 1999). Although there is ample evidence for increased ocean uptake in El Niño years, estimating the effects of these large changes on interannual variability in CO2 uptake is difficult. As the oceans warm, changes projected due to increased radiative forcing and warmer atmospheric temperatures will include three main effects: changes in CO2 solubility, changes in surface ocean stratification, and changes in marine biological productivity. Although there are some significant differences between existing models in the magnitude of the projected changes, all show decreased uptake due to changes in CO2 solubility and surface ocean stratification and increased uptake due to changes in biological productivity. Overall, the net effect of increasing radiative forcing is a decrease in oceanic CO2 uptake. Carbon dioxide solubility is a strong function of surface ocean temperature, and increasing ocean temperatures (Levitus et al. 2000) are resulting in a decrease in CO2 solubility and consequently less uptake. The magnitude of this term is fairly consistent across different models employing a variety of CO2 emissions scenarios, resulting in cumulative changes in anthropogenic uptake of between —48 and —68 PgC (—9.4 percent to -14.0 percent) by 2065 or 2100 (Table 13.2). Note: "Climate baseline" refers to a simulation with anthropogenic CO2 emissions but preindustrial ocean temperatures and circulation. "Effects" refer to uptake changes for various climate feedbacks and are expressed relative to the climate baseline. The "net effect" is the uptake change when all climate feedbacks are present (i.e., full climate change simulation). vertical exchange is responsible for a decreased CO2 uptake, because there is a reduced downward transport of surface water, which is enriched in CO2 from the atmosphere, as well as reduced upward transport of deepwater deficient in anthropogenic CO2 (Sarmiento et al. 1998; Sarmiento and Hughes 1999). Models disagree over the magnitude of the stratification contribution. For example, Matear and Hirst (1999) obtained -41 PgC (-10.9 percent) during the period 18502100, whereas Sarmiento and Le Quéré (1996) obtained -117 PgC (-21.1 percent) during their 100-year simulation. While the time spans and emissions scenarios of the two studies differed, they produced similar net effects on CO2 uptake, differing by only 2 PgC (Table 13.2). According to Matear and Hirst (1999), the large difference in stratification feedback in their study was caused by including the Gent et al. 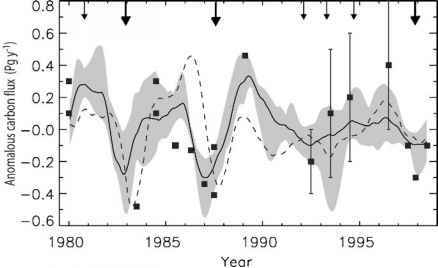 (1995) eddy parameterization in their model, which greatly increased Southern Ocean stratification in the absence of climate change and hence reduced the change in CO2 uptake when stratification increased due to anthropogenic forcing. Joos et al. (1999a) and Plattner et al. (2001), by contrast, used simplified ocean models and obtained stratification effects that were smaller than those from Matear and Hirst (1999) (Table 13.2). The sensitivity of overall ocean uptake to Southern Ocean stratification is underscored by Friedlingstein et al. (2003), who found a factor of two difference in overall uptake between the models in their study (Cox et al. 2000; Dufresne et al. 2002), due mostly to differences in Southern Ocean convection. The Southern Ocean's role as a carbon sink is currently not very well understood and is an area of active research (Sabine et al. 1999; Caldeira and Duffy 2000; Matear et al. 2000; Orr et al. 2001). Stratification also causes changes in marine biological productivity, which lead to indirect changes in CO2 uptake. Decreased vertical exchange resulting from stratification reduces the supply to the surface of dissolved inorganic carbon (DIC) and nutrients such as nitrogen and phosphorus. This reduction in supply may result in a more efficient drawdown of DIC and surface nutrients by the biological pump and increased uptake of CO2 from the atmosphere. The decreased supply of nutrients may also, however, lower biological productivity in areas where it is nutrient limited, and some modelers find that a decrease in surface alkalinity due to the decreased overturning reduces the buffering capacity of surface waters, reducing CO2 uptake (Sarmiento and Le Quéré 1996; Joos et al. 1999a). In general, however, the decrease in supply of DIC to the surface is the predominating effect, resulting in a net increase in CO2 uptake due to marine biology. (1996) obtained a stratification effect of -117 PgC (-21.1 percent) and a biological effect of + 111 PgC (+20.0 percent), whereas Matear and Hirst (1999) obtained much lower values for both effects, -41 Pg C (-10.9 percent) due to stratification and +33 Pg C (+8.8 percent) due to biology. Models do differ, however, in their assumptions about how biology will respond to nutrient availability. The studies by Sarmiento and Le Quere (1996) and Sarmiento et al. 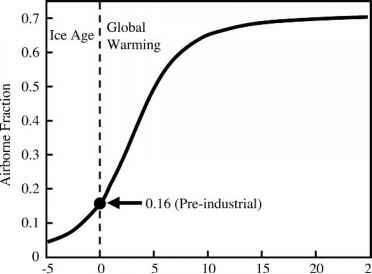 (1998) assumed constant biological productivity, but the models of Matear and Hirst (1999), Joos et al. (1999a), and Plattner et al. (2001) were dependent on surface phosphate concentrations and other physical variables, so it is too early to draw hard conclusions about this. The complexity of the marine ecosystem and our lack of a detailed understanding of many of the governing processes preclude definitive model projections for the significant changes expected to take place in the upper ocean by the late 21st century. As a result, most modelers have focused on sensitivity studies, which provide information about the importance of different mechanisms in controlling ocean CO2 uptake. For example, Sarmiento et al. 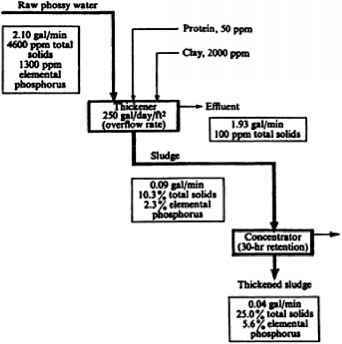 (1998) explored a number of biological parameterizations, including a low-uptake "constant phosphate" limit, and a high-uptake "super-biotic" limit where surface phosphate is completely consumed. The cumulative difference in carbon uptake from the atmosphere between 1990 and 2065 was -70 PgC (-24.2 percent) for the constant phosphate case, and +120 PgC (+41.5 percent) for the super-biotic case (Table 13.3). Joos et al. (1999a) also considered several cases, including a low uptake limit where the marine ecosystem composition shifts mainly toward CaCO3 production (the "no-biota-DIC feedback" case). Cumulative uptake changes from 1765 to 2100 ranged from -32 PgC (-6.0 percent) for a constant productivity baseline to -97 PgC (-18.3 percent) for the no-biota-DIC feedback case. Plattner et al. (2001) improved upon the Joos et al. (1999a) study in several ways, but results were similar. Although some of the cases explored in these studies represent extreme conditions that would probably never be realized in nature, they illustrate the large sensitivity of uptake to different assumptions about biological mechanisms. In summary, differences between model simulations of changes in carbon uptake are due primarily to differences in the parameterizations of vertical exchange and the biological carbon cycle. Further refinement in the understanding of ocean biology and the ability to model it, particularly responses of the marine biological system to significant changes in oceanic stratification and regional nutrient availability, is required before agreement can be reached on future changes in ocean uptake of CO2. Note: "Climate baseline" refers to a simulation with anthropogenic CO2 emissions but preindustrial ocean temperatures and circulation. "Standard" refers to uptake changes relative to the climate baseline for the full climate change simulation using the default biological model (indicated in parentheses). "Constant productivity" indicates fixed production, whereas "Prognostic" indicates production is determined from surface nutrient concentrations. "Super-biotic" indicates total surface phosphate consumption. "Constant phosphate" indicates that surface phosphate is forced to remain constant. "No biota-DIC feedback" refers to removing the changes in surface DIC concentration due to surface nutrient changes, whereas "No biota feedback" refers to removing the changes due to surface alkalinity as well. "No CaCO3 feedback" indicates that changes in alkalinity due to the CaCO3 cycle are removed. "No OM feedback" indicates that the organic matter contribution to alkalinity is removed. Figure 13.3. Marginal airborne fraction vs. CO2 release. Results are for 5,000-year integrations, where the ocean-atmosphere system has reached equilibrium. Note that the effects of neither the terrestrial biosphere nor ocean sediments were included in these simulations (unpublished work by the authors, 2003). ~3000 PgC (a low estimate of total fossil fuel reserves; see Nakicenovic et al. 1996; Mar-land et al. 2000), deep Pacific CO32- concentrations are reduced by nearly 50 percent after 1,500 years, and the ocean is able to remove 19 percent less CO2 from the atmosphere than the preindustrial ocean. The long-term effectiveness of the ocean buffering system against additions of CO2 can be described by the marginal airborne fraction (AF), which is defined as the fraction of a pulse of CO2 added to the ocean that remains in the atmosphere after the ocean reaches equilibrium. An increase in the AF indicates a decrease in the ocean's buffering capacity. Figure 13.3 depicts changes to the AF over a wide range of CO2 releases that we have calculated using a simplified ocean model with full carbon chemistry. Negative releases correspond to an ice age condition (—3,500 PgC or 180 ppm atmospheric CO2), whereas large positive releases would be achievable if methane hydrates were exploited (Harvey and Huang 1995). Note that the AF, equal to 16 percent for the preindustrial ocean, plateaus near 70 percent above ~15,000 PgC, indicating near-total depletion of CO32-, with ocean carbon accumulating primarily as dissolved CO2. Sea-floor CaCOj sediments provide additional neutralization of CO2. Whereas Archer et al. (1997, 1998) suggest that sediment dissolution is slow, taking many thousands of years to exert an appreciable effect on atmospheric CO2, recent observations in the Pacific and Indian Oceans indicate that dissolution of CaCOj rain may be taking place in areas where the saturation depth is shallow enough for anthropogenic CO2 to reach (~1,000 m) (Feely et al. 2002; Sabine et al. 2002). Elevated levels of CO2 may decrease calcification rates by lowering the CaCO3 saturation state of surface waters (Iglesias-Rodriguez et al. 2002), which in turn may indirectly affect CO2 levels by changing the organic to inorganic carbon export ratio or the ballasting of sinking particulate carbon (Armstrong et al. 2002). Changes in climate may also shift the distribution of marine calcifiers, which could impact the CaCOj budget and the ocean carbon cycle as a whole (Iglesias-Rodriguez et al. 2002). The magnitudes of these effects are still very uncertain, however, and further research is needed. Sediments are ultimately responsible for absorbing an additional 17 percent of anthropogenic CO2 in the 3000 PgC release case, resulting in a total ocean uptake of 92 percent and a final atmospheric concentration of425 ppm (Archer et al. 1998). Regeneration of sediments via river discharge requires more than 40,000 years for full recovery. There exists the possibility of large, abrupt changes to the climate system, which may have significant impacts on the ocean carbon cycle. Some possible phenomena are the collapse of grounded ice sheets such as the West Antarctic Ice Sheet (Oppenheimer 1998; Church et al. 2001), the catastrophic release of methane from methane hydrates in ocean sediments (Harvey and Huang 1995), regime shifts in marine ecosystems resulting in changes in CO2 uptake (Chavez et al. 2003), and the collapse of the North Atlantic thermohaline circulation (THC) (Manabe and Stouffer 1993). Regime shifts in marine ecosystems observed during the past century encompass multidecadal, basinwide changes in temperature, thermocline depth, ecosystem structure, and CO2 uptake. It is not currently understood, however, how the confluence of processes modulates ocean CO2 uptake or whether these roughly 50-year oscillations are driven by natural or anthropogenic forcings (Chavez et al. 2003). Therefore, it is difficult to assess the role of ecosystem regime change under future climate change conditions. Among the other effects mentioned, only THC collapse has an appreciable likelihood during the 21st century. Therefore, we will restrict discussion in this section to that phenomenon. The effect of a THC collapse on the ocean carbon cycle could be a large decrease in uptake, due to the breakdown of large-scale surface-to-deepwater transport (Sarmiento and Le Quere 1996). Plattner et al. (2001) found that cumulative CO2 uptake through 2500 is reduced by 16 percent for an emissions scenario that stabilizes at 550 ppm (WRE550), but the reduction jumps to 27 percent for a scenario (WRE1000) where the North Atlantic Deep Water formation collapses after 2100. The main contributor to this change in reduction is the circulation component, which is 2 percent in the WRE550 scenario and 21 percent in the WRE1000 scenario. An earlier study by Joos et al. (1999a) obtained similar results. As discussed, however, these studies both used simplified ocean models that obtained larger stratification effects than other studies, such as Matear and Hirst (1999). The paleoclimatic role of the THC in modulating atmospheric CO2 is discussed by Joos and Prentice (Chapter 7). In the early 1990s, Manabe and Stouffer demonstrated a long-term (> 500 years) reduction (>85 percent) of the THC maximum overturning under a 4 X CO2 growth scenario (Manabe and Stouffer 1993, 1994; Dixon et al. 1999). Similar results have been obtained by a number of independent studies, using different models and a variety of atmospheric CO2 growth trajectories (Table 13.4). Reductions in overturning vary over a wide range, from ~90 percent to as low as ~25 percent. In addition to the final level of atmospheric CO2, the rate of atmospheric increase is also important in producing a THC collapse (Stocker and Schmittner 1997; Schmittner and Stocker 1999). Long-time integrations (> 1000 years) of CO2 stabilization scenarios with simplified models (Fanning and Weaver 1996; Weaver et al. 1998; Wiebe and Weaver 2000; Ganopolski et al. 2001) show that the THC weakening is generally followed by full recovery over several hundred years (Cubasch et al. 2001), though there are some studies where the THC remains collapsed during a multi-thousand-year integration (Stocker et al. 1992; Manabe and Stouffer 1999). Several studies, however, obtained essentially no reduction in overturning (Latif et al. 2000; Gent 2001; Sun and Bleck 2001). All these studies account for their result by showing that temperature increases are balanced by net salinization of North Atlantic waters, maintaining a density structure close to that of the preindustrial ocean. Gent (2001) and Sun and Bleck (2001) argue that the net salinization in their models is due to increased evaporation and reduced sea-ice melting in the North Atlantic. On the other hand, Latif et al. (2000) simulate strongly increased precipitation in the central equatorial Pacific, which is associated with reduced precipitation and warming over the Amazon rainforest and, therefore, reduced freshwater flux from the Amazon River basin into the tropical Atlantic. This result was also obtained by Cox et al. (2000), who employed a different coupled climate model. Understanding the relative roles of freshwater and heat is central to accurately modeling future changes in the THC, but two studies that specifically investigated these two factors obtained contradictory results (Dixon et al. 1999; Mikolajewicz and Voss 2000). Further investigations will be needed to fully elucidate the complex interactions involved. Note: "Baseline" refers to maximum overturning (Sv) in experiment with preindustrial CO2 levels; "perturbation" refers to maximum overturning (Sv) for the CO2 emissions scenario in the year of maximum THC slowdown. "Year" refers to time of maximum extent of THC slowdown atmosphere-based analyses; (2) the large possible contribution of the ocean thermohaline circulation to oceanic uptake and our poor understanding of how this will respond to global warming; and (3) the large potential impact of biological changes on the oceanic carbon sink. Addressing all of these will require improved ocean circulation and climate models, as well as more accurate and longer-term oceanic and atmospheric observations of relevant tracers such as those of the carbon system, oxygen, and carbon isotopes. An issue that we have not discussed in this chapter, and which may play a significant role, is the possibility that changes in ocean biology might lead to modifications in the stoichiometric ratio of carbon to nutrients in organic matter or CaCO3 to organic matter, or other shifts in material exported from the surface of the ocean that could have a significant impact on the ocean carbon sink (e.g., Boyd and Doney 2002). Archer, D., H. Kheshgi, and E. Maier-Reimer. 1997. Multiple timescales for neutralization of fossil fuel CO2. Geophysical Research Letters 24:405-408. Armstrong, R. A., C. Lee, J. I. Hedges, S. Honjo, and S. G. Wakeham. 2002. A new, mechanistic model for organic carbon fluxes in the ocean based on the quantitative association of POC with ballast minerals. Deep-Sea Research II49:219-236. Baker, D. F. 2001. Sources and sinks of atmospheric CO2 estimated from batch least-squares inversions of CO2 concentration measurements. Ph.D. thesis, Princeton University, Princeton, NJ. Bates, N. R. 2002. Interannual variability in the global uptake of CO2. Geophysical Research Letters 29 (5): 1059, doi:10.1029/2001GL013571. Battle, M., M. L. Bender, P P. Tans, J. W. C. White, J. T. Ellis, T. Conway, and R. J. Francey. 2000. Global carbon sinks and their variability inferred from atmospheric O2 and S13C. Science 287:2467-2470. Bi, D., W. F. Budd, A. C. Hirst, and X. Wu. 2001. Collapse and reorganisation of the Southern Ocean overturning under global warming in a coupled model. Geophysical Research Letters 28:3927-3930. Bousquet, 1!, P. Peylin, I! Ciais, C. Le Quere, P Friedlingstein, and I! P. Tans. 2000. Regional changes in carbon dioxide fluxes of land and oceans since 1980. Science 290:1342-1346. Boyd, P W., and S. C. Doney. 2002. Modelling regional responses by marine pelagic ecosystems to global climate change. Geophysical Research Letters 29, doi:10.1029/2001GL014130. Broecker, W. S., S. Sutherland, and T.-H. Peng. 1999. A possible 20th-century slowdown of Southern Ocean deep water formation. Science 286:1132-1135. Caldeira, K., and P. B. Duffy. 2000. The role of the Southern Ocean in uptake and storage of anthropogenic carbon dioxide. Science 287:620-622. Chavez, F. P, J. Ryan, S. E. Lluch-Cota, and C. Miguel Niquen. 2003. From anchovies to sardines and back: Multidecadal change in the Pacific Ocean. Science 299:217-221. Church, J. A., J. M. Gregory, P Huybrechts, M. Kuhn, K. Lambeck, M. T. Nhuan, D.
Qin, and P. L. Woodworth. 2001. Changes in sea level. Pp. 639-693 in Climate change 2001: The scientific basis (Contribution of Working Group I to the Third Assessment Report of the Intergovernmental Panel on Climate Change), edited by J. T. Houghton, Y. Ding, D. J. Griggs, M. Noguer, P. J. van der Linden, X. Dai, K. Maskell, and C. A. Johnson. Cambridge: Cambridge University Press. Cubasch, U., G. A. Meehl, G. J. Boer, R. J. Stouffer, M. Dix, A. Noda, C. A. Senior, S. Raper, and K. S. Yap. 2001. Projections of future climate change. Pp. 525-582 in Climate change 2001: The scientific basis (Contribution of Working Group I to the Third Assessment Report of the Intergovernmental Panel on Climate Change), edited by J. T. Houghton, Y. Ding, D. J. Griggs, M. Noguer, P. J. van der Linden, X. Dai, K. Maskell, and C. A. Johnson. Cambridge: Cambridge University Press. Dixon, K. W., T. L. Delworth, M. J. Spelman, and R. J. Stouffer. 1999. The influence of transient surface fluxes on North Atlantic overturning in a coupled GCM climate change experiment. Geophysical Research Letters 26:2749-2752. Dufresne, J.-L., P. Friedlingstein, M. Berthelot, L. Bopp, P. Ciais, L. Fairhead, H. Le Treut, and P Monfray. 2002. On the magnitude of positive feedback between future climate change and the carbon cycle. Geophysical Research Letters 29:1405, doi:10.1029/2001GL013777. Fanning, A. F., and A. J. Weaver. 1996. An atmospheric energy-moisture balance model: Climatology, interpentadal climate change, and coupling to an ocean general circulation model. Journal of Geophysical Research 101:15,111-15,128. Feely, R. A., R. Wanninkhof, C. Goyet, D. E. Archer, and T. Takahashi. 1997. Variability of CO2 distributions and sea-air fluxes in the central and eastern equatorial Pacific during the 1991-1994 El Niño. Deep-Sea Research II44:1851-1867. Feely, R. A., C. L. Sabine, K. Lee, F. J. Millero, M. F. Lamb, D. Greeley, J. L. Bullister, R. M. Key, T.-H. Peng, A. Kozyr, T. Ono, and C. S. Wong. 2002. In situ calcium carbonate dissolution in the Pacific Ocean. GlobalBiogeochemical Cycles 16 (4): 1144, doi:10.1029/2002GB001866. Francey, R. J., P P. Tans, C. E. Allison, I. G. Enting, J. W. White, and M. Trolier. 1995. Changes in oceanic and terrestrial carbon uptake since 1982. Nature 373:326-330. Francey, R. J., C. E. Allison, C. M. Trudinger, and P J. Rayner. 2001. The interannual variation in global atmospheric 813C and its link to net terrestrial exchange. Extended abstract of the 6th International Carbon Dioxide Conference, and in preparation for Tellus. Friedlingstein, P, J.-L. Dufresne, P. M. Cox, and P. Rayner. 2003. How positive is the feedback between climate change and the carbon cycle? Tellus 55B (2): 692-700. Ganopolski, A., V. Petoukhov, S. Rahmstorf, V. Brovkin, M. Claussen, A. Eliseev, and C. Kubatzki. 2001. CLIMBER-2: A climate system model of intermediate complexity. Part II. Model sensitivity. Climate Dynamics 17 (10): 735-751. Gent, P R. 2001. Will the North Atlantic Ocean thermohaline circulation weaken during the 21st century? Geophysical Research Letters 28:1023-1026. Gent, P R., J. Willebrand, T. J. McDougall, and J. C. McWilliams. 1995. Parameterizing eddy-induced tracer transports in ocean circulation models. Journal of Physical Oceanography 25:463-474. Gruber, N., C. D. Keeling, and N. R. Bates. 2002. Interannual variability in the North Atlantic Ocean carbon sink. Science 298:2374-2378. Iglesias-Rodriguez, M. D., R. Armstrong, R. Feely, R. Hood, J. Kleypas, J. D. Milliman, C. Sabine, and J. Sarmiento. 2002. Calcium carbonate in a changing ocean: Implications for the marine carbon cycle, carbonate producing organisms, and global climate. Eos, Transactions, American Geophysical Union 83:365-375. Joos, F., R. Meyer, M. Bruno, and M. Leuenberger. 1999b. The variability in the carbon sinks as reconstructed for the last 1000 years. Geophysical Research Letters 26:14371440. Keeling, C. D., and S. C. Piper. 2000. Interannual variations of exchanges of atmospheric CO2 and 13CO2 with the terrestrial biosphere and oceans from 1978—2000. III. Simulated sources and sinks. Scripps Institution of Oceanography Reference Series No. 00-14. San Diego: University of California, Scripps Institution of Oceanography. Keeling, C. D., T. P. Whorf, M. Wahlen, and J. Vanderplicht. 1995. Interannual extremes in the rate of rise of atmospheric carbon dioxide since 1980. Nature 375:666-670. Keeling, C. D., S. C. Piper, R. B. Bacastrow, M. Wahlen, T. P. Whorf, M. Heimann, and H. A. Meijer. 2001. Exchanges of atmospheric CO2 and 13CO2 with the terrestrial biosphere and oceans from 1978 to 2000. I. Global aspects. Scripps Institution of Oceanography Reference Series No. 00-06. San Diego: University of California, Scripps Institution of Oceanography. Langenfelds, R., R. Francey, B. Pak, L. Steele, J. Lloyd, C. Trudinger, and C. Allison. 2002. Interannual growth rate variations of atmospheric CO2 and its S13C, H2, CH^, and CO between 1992 and 1999 linked to biomass burning. Art. no. 1048. Global Bio-geochemical Cycles 16: 1048. Latif, M., E. Roeckner, U. Mikolajewicz, and R. Voss. 2000. Tropical stabilization of the thermohaline circulation in a greenhouse warming simulation. Journal of Climate 13:1809-1813. Le Quere, C., J. C. Orr, P. Monfray, O. Aumont, and G. Madec. 2000. Interannual variability of the oceanic sink of CO2 from 1979 through 1997. Global Biogeochemical Cycles 14:1247-1265. Le Quere, C., O. Aumont, P. Monfray, and J. Orr. 2002. Propagation of climatic events on ocean stratification, marine biology and CO2: case studies over the 1979-1999 period. Journal of Geophysical Research (in press). Le Quere, C., O. Aumont, L. Bopp, P. Bousquet, P. Ciais, R. Francey, M. Heimann, D. C. Keeling, R. F. Keeling, H. Kheshgi, P Peylin, S. C. Piper, I. C. Prentice, and P. J. Rayner. 2003. Two decades of ocean CO2 sink and variability. Tellus 55B (2): 649-656.
annual variability in recent oceanic uptake of atmospheric carbon dioxide. Nature 396:155-159. Levitus, S., J. I. Antonov, T. P. Boyer, and C. Stephens. 2000. Warming of the world ocean. Science 287:2225-2229. Loukos, H., F. Vivier, P P. Murphy, D. E. Harrison, and C. Le Quéré. 2000. Interannual variability of equatorial Pacific CO2 fluxes estimated from temperature and salinity data. Geophysical Research Letters 27:1735-1738. Manabe, S., and R. J. Stouffer. 1993. Century-scale effects of increased atmospheric CO2 on the ocean-atmosphere system. Nature 364:215-218. -. 1994. Multiple-century response of a coupled ocean-atmosphere model to an increase of atmospheric carbon-dioxide. Journal of Climate 7:5-23. -. 1999. Are two modes of thermohaline circulation stable? Tellus 51A: 400-411. Manning, A. C. 2001. Temporal variability of atmospheric oxygen from both continuous measurements and a flask sampling network: Tools for studying the global carbon cycle. Ph.D. thesis, University of California-San Diego, La Jolla, CA. Marland, G., T. A. Boden, and R. J. Andres. 2000. Global, regional, and national CO2 emissions. In Trends: A compendium of data on global change. Oak Ridge, TN: Carbon Dioxide Information Analysis Center, Oak Ridge National Laboratory, U.S. Department of Energy. Matear, R. J., and A. C. Hirst. 1999. Climate change feedback on the future oceanic CO2 uptake. Tellus 51B:722-733. Matear, R. J., A. C. Hirst, and B. I. McNeil. 2000. Changes in dissolved oxygen in the Southern Ocean with climate change. Geochemistry Geophysics Geosystems 1: Paper number 2000GC000086. Mikolajewicz, U., and R. Voss. 2000. The role of the individual air-sea flux components in CO2-induced changes of the ocean's circulation and climate. Climate Dynamics 16:627-642. Nakicenovic, N., A. Grübler, H. Ishitani, T. Johansson, G. Marland, J. R. Moreira, and H.-H. Rogner. 1996. Energy primer. Pp. 75-92 in Climate change 1995: Impacts, adaptations and mitigation of climate change: Scientific-technical analysis, edited by R. T. Watson, M. C. Zinyowera, R. H. Moss, and D. J. Dokken. Cambridge: Cambridge University Press. Oppenheimer, M. 1998. Global warming and the stability of the West Antarctic Ice Sheet. Nature 393:325-332. Orr, J. C., E. Maier-Reimer, U. Mikolajewicz, P. Monfray, J. L. Sarmiento, J. R. Toggweiler, N. K. Taylor, J. Palmer, N. Gruber, C. L. Sabine, C. Le Quere, R. M. Key, and J. Boutin. 2001. Estimates of anthropogenic carbon uptake from four three-dimensional global ocean models. GlobalBiogeochemical Cycles 15:43-60. Prentice, I. C., G. D. Farquhar, M. J. R. Fasham, M. L. Goulden, M. Heimann, V J. Jaramillo, H. S. Kheshgi, C. Le Quere, R. J. Scholes, and D. W. R. Wallace. 2001. The carbon cycle and atmospheric carbon dioxide. Pp. 183-238 in Climate change2001: The scientific basis (Contribution ofWorking Group I to the third assessment report of the Intergovernmental Panel on Climate Change), edited by J. T. Houghton, Y. Ding, D. J. Griggs, M. Noguer, P. J. van der Linden, X. Dai, K. Maskell, and C. A. Johnson. Cambridge: Cambridge University Press. Rayner, P J., I. G. Enting, R. J. Francey, and R. Langenfelds. 1999. Reconstructing the recent carbon cycle from atmospheric CO2, 813C and O2/N2 observations. Tellus 51B:213-232. Russell, J. L., and J. M. Wallace. 2003. ENSO-related variability in the rate of increase of atmospheric carbon dioxide. Science (submitted). Sabine, C. L., R. M. Key, K. M. Johnson, F. J. Millero, A. Poisson, J. L. Sarmiento, D. W. R. Wallace, and C. D. Winn. 1999. Anthropogenic CO2 inventory of the Indian Ocean. GlobalBiogeochemical Cycles 13:179—198. Sabine, C. L., R. M. Key, R. A. Feely, and D. Greeley. 2002. Inorganic carbon in the Indian Ocean: Distribution and dissolution processes. Global Biogeochemical Cycles 16 (4): 1067, doi:10.1029/2002GB001869. Sarmiento, J. L., and N. Gruber. 2002. Sinks for anthropogenic CO2. Physics Today 55:30-36. Sarmiento, J. L., and T. M. C. Hughes. 1999. Anthropogenic CO2 uptake in a warming ocean. Tellus 51B:560-561. Sarmiento, J. L., and C. Le Quéré. 1996. Oceanic carbon dioxide uptake in a model of century-scale global warming. Science 274:1346-1350. Sarmiento, J. L., C. Le Quéré, and S. W. Pacala. 1995. Limiting future atmospheric carbon dioxide. Global Biogeochemical Cycles 9:121-137. Sarmiento, J. L., T. M. C. Hughes, R. J. Stouffer, and S. Manabe. 1998. Simulated response of the ocean carbon cycle to anthropogenic climate warming. Nature 393:245-249. Schmittner, A., and T. F. Stocker. 1999. The stability of the thermohaline circulation in global warming experiments. Journal of Climate 12:1117-1133. Stocker, T. F., D. G. Wright, and L. A. Mysak. 1992. A zonally averaged, coupled ocean-atmosphere model for paleoclimate studies. Journal of Climate 5:773-797. Sun, S., and R. Bleck. 2001. Atlantic thermohaline circulation and its response to increasing CO2 in a coupled atmosphere-ocean model. Geophysical Research Letters 28 (22): 4223-4226. Thorpe, R. B., J. M. Gregory, T. C. Johns, R. A. Wood, and J. F. B. Mitchell. 2001. Mechanisms determining the Atlantic thermohaline circulation response to greenhouse gas forcing in a non-flux-adjusted coupled climate model. Journal of Climate 14:31023116. Timmermann, A., J. Oberhuber, A. Bacher, M. Esch, M. Latif, and E. Roeckner. 1999. Increased El Niño frequency in a climate model forced by future greenhouse warming. Nature 398:694-697. Trenberth, K. E., and T. J. Hoar. 1996. The 1990-1995 El Niño-Southern Oscillation event: Longest on record. Geophysical Research Letters 23:57-60. Tsunogai, S., S. Watanabe, and T. Sato. 1999. Is there a "continental shelf pump" for the absorption of atmospheric CO2? Tellus 51B:701-712. Wanninkhof, R. 1992. Relationship between wind speed and gas exchange over the ocean. Journal of Geophysical Research 97:7373-7378. Wanninkhof, R., and W. R. McGillis. 1999. A cubic relationship between air-sea CO2 exchange and wind speed. Geophysical Research Letters 26:1889-1892. Weaver, A. J., M. Eby, A. F. Fanning, and E. C. Wiebe. 1998. Simulated influence of car bon dioxide, orbital forcing and ice sheets on the climate of the last glacial maximum. Nature 394:847-853. Wiebe, E. C., and A. J. Weaver. 2000. On the sensitivity of global warming experiments to the parameterisation of sub-grid scale ocean mixing. Climate Dynamics 15:875-893. Winguth, A. M. E., M. Heimann, K. D. Kurz, E. Maier-Reimer, U. Mikolajewicz, and J. Segschneider. 1994. El Niño-Southern Oscillation related fluctuations of the marine carbon cycle. GlobalBiogeochemical Cycles 8:39-63. Wong, C. S., Y. H. Chan, J. S. Page, G. E. Smith, and R. D. Bellegay. 1993. Changes in equatorial CO2 flux and new production estimated from CO2 and nutrient levels in Pacific surface waters during the 1986/87 El Niño. Tellus 45B:64-79. Wood, R. A., A. B. Keen, J. F. B. Mitchell, and J. M. Gregory. 1999. Changing spatial structure of the thermohaline circulation in response to atmospheric CO2 forcing in a climate model. Nature 399:572-575.